A Year of Being Here: Jane Hirshfield: "The Weighing"
and does not remember the other. 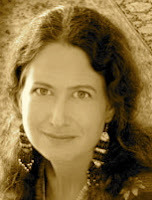 "The Weighing" by Jane Hirshfield, from October Palace. © Harper Perennial, 1994. 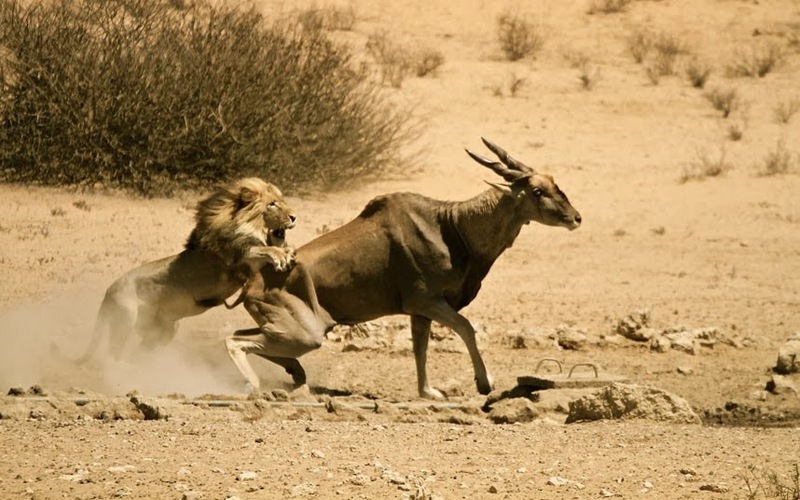 Photography credit: Photo #1 by Rick Brightman of "a lion attacking an eland in the Kgalagadi Transfrontier Park in South Africa," from the Telegraph's "Pictures of the Day, 6 December 2012" (originally color). I wept reading this poem on twitter. It felt like an apt description of motherhood - full of no regrets. Thanks for posting it here, keeping it here, so I can print it and savour it again and again. You're so very welcome. Savour away!